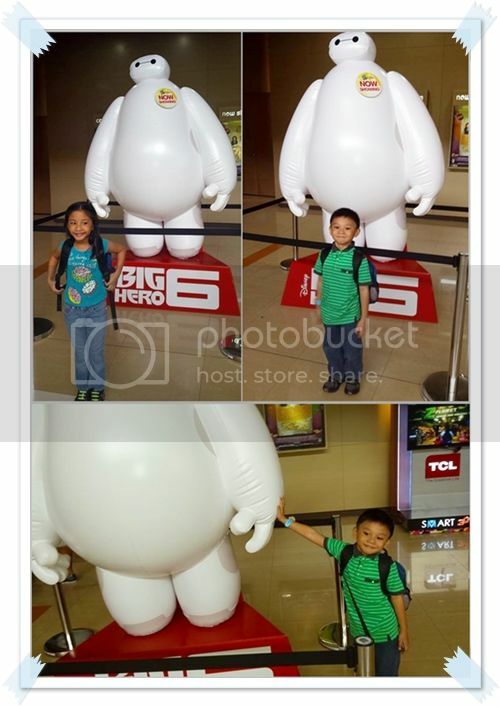 Just a week after treating us to a block screening of Heaven is For Real, PLDT HOME DSL invited us again for another fun family movie night. 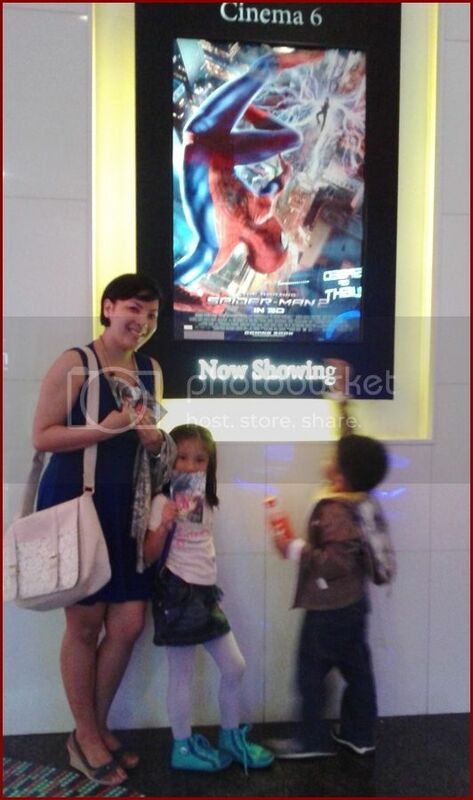 Last Friday, the entire family got to watch The Amazing Spiderman 2 with the adorable li’l Diego and his mom Lara. We weren’t able to take pictures with them again but this time my sister Lala of www.foodiemomster.com got to chat with the pretty Mommy Lara. My sister says she’s as beautiful inside as she is outside – totally no airs despite their quick rise to fame. Now I know where Diego inherited his charm. 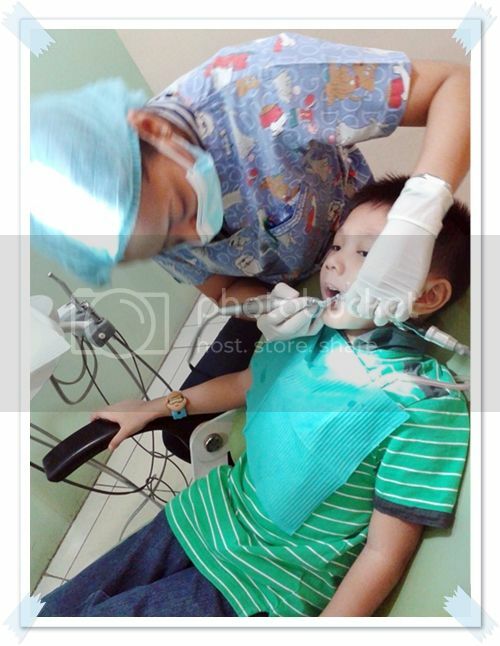 In case you haven’t met Diego yet, he’s the precocious 7-yr-old “adviser” in the now famous Facebook page “Ask Diego”. Check him out at facebook.com/AskDiego. Before you raise your eyebrows over a child being on Facebook – more so answering questions and giving advice – rest assured that Diego is properly supervised by his family. 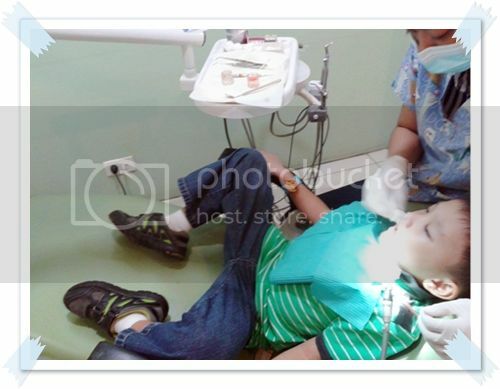 Daddy Paolo, Mommy Lara, and Ate Trisha all make sure that offensive content are deleted before Diego sees them. They also help him answer questions that range from studies, bullying to love. Aside from capturing the hearts of thousands of fans, “Ask Diego” has also kept the Ledesma family connected. With limitless and family-sized connection from PLDT HOME DSL, they are able to keep connected while being able to do various tasks online. Like the Ledesma family, you can have limitless sharing with the strong reliable family-sized connection offered by PLDT HOME DSL. You’d have the advantage of being online crappy surfing speed. The entire family can play games together, maintain a family website, send messages and sweet notes to each other, and even plan the next family vacation. It is possible to be online and still be connected to each other through limitless family sharing. Back to our movie night, as expected, the little boy LOVED the movie. He used to be a huge Batman fan but has now been asking for everything Spidey. 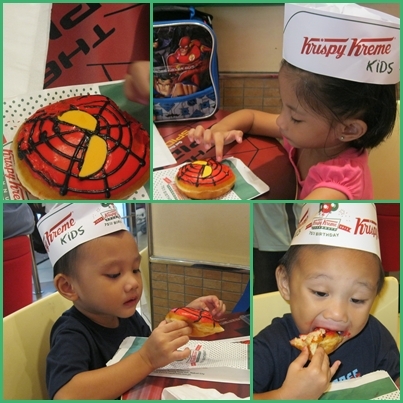 He wants Spiderman figures, mask, costumes – even pleaded that I get him all the Spiderman toys that come with the famous kiddie meals. 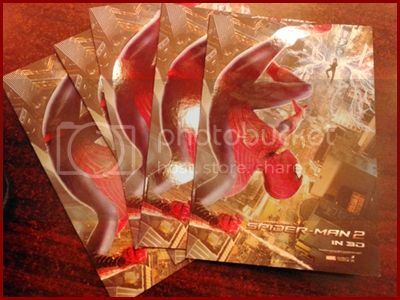 The Amazing Spiderman 2 has been rated PG so do expect to have a lot of explaining to do when you’re watching with preschoolers. My two kids were generally focused on the movie (except during the hundreds of restroom breaks) but had tons of questions after. Why was the blue man bad? Did Spiderman make him bad? Why was Spiderman very sad? Why did Spiderman let the girl fall? Et cetera, et cetera. Hubby, on the other hand, liked the fact that this version of Spiderman was closer to the comic book series than the previous movie versions. There were parts that were a bit too dragging but the action-filled parts with awesome special effects made up for those bleak scenes. 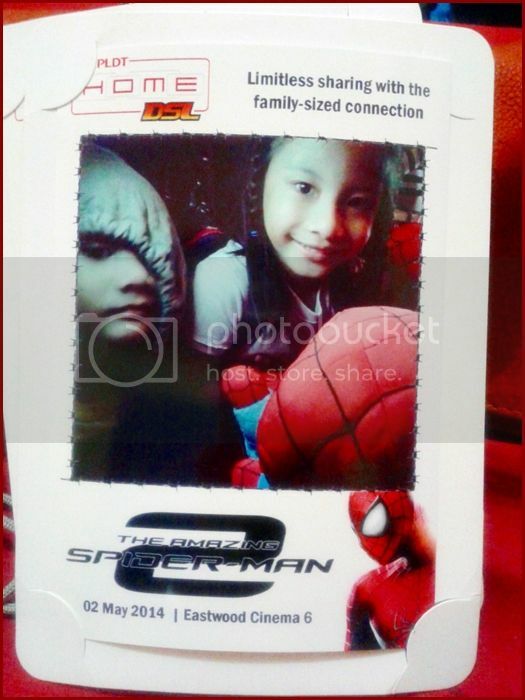 The Amazing Spiderman 2 would be a great movie date for the entire family. If you haven’t seen it yet (which is highly unlikely), set a family movie date this weekend. Check out the screening schedules of the cinemas near your place using the family-sized connection of PLDT HOME DSL. Learn more about it at pldthome.com. “We’ve never seen this movie before, Mama. 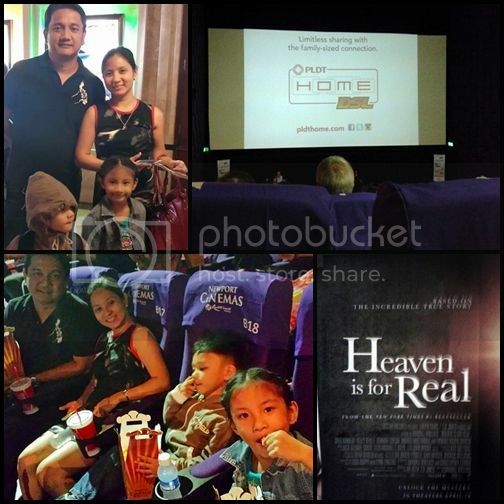 Last Friday, we were invited by PLDT Home DSL to a special screening of the movie “Heaven is For Real”. The movie was rated GP by the board so we took the kids with us although I initially had misgivings as the theme of the movie may be too profound for their age. I’m glad I decided to bring them along as the movie proved to be a good springboard for discussions about faith. 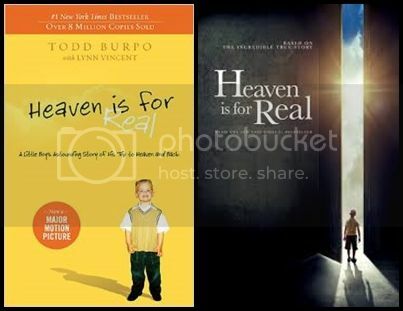 The movie is based on the book Heaven is for Real: A Little Boy’s Astounding Story of His Trip to Heaven and Back written by Todd Burpo, the father of the little boy who went to heaven and back. Greg Kinnear plays Todd Burpo who was a pastor of a small town in Nebraska. Connor Corum does an adorable portrayal of the 4-yr-old Colton who survives an appendectomy two days after his appendix ruptured and who soon after innocently narrates bits and pieces of his trip to heaven. Those of us who believe in Jesus may have different views of what heaven looks like. It is understandable for even the most devout Christians to be sceptical about Colton’s experience. Rainbow colored horses, heaven that looks the same as here on earth only much prettier, a place where no one is old and no one wears glasses…these do seem to be merely from a child’s rich imagination. However, we must understand that the story was shared not to replace biblical truths but to inspire us to continue living as Christ regardless of trials that come our way and to give us a glimpse of what awaits us in heaven. I must warn you though, be ready with a box of tissue when you watch it. Oh and, if you’re watching with your little ones as well, be ready with answers to hundreds of questions too. Cinema has been a favorite pastime of family and friends for many years. However, with the steady increase in both ticket prices and cinema kiosk food prices a family trip to the cinema can feel less like entertainment and more like an encounter with a ring of professional pickpockets. Fortunately however, family treats can still be attained by borrowing some extra funds, but always check that you are getting the best possible rates available. There are ways for you to enjoy a great deal of films within a sensible family budget. Taking the time to plan family cinema outings can not only make visits to the cinema enjoyable once again, but can also save a family a substantial amount of money. Many tips about saving money at the cinema focus on what times of the day or week a film is playing. However, how a family chooses to watch a film can have an even bigger impact on the amount of money that can be saved. Depending on the age of your children they may or may not care about the latest and greatest film. Even if the little ones do desperately want to see the latest Disney or DreamWorks offering, make a decision as a family as to which one you really want to see. Also, consider seeing a film at a cut-rate second-run cinema and save your wallet from the premium purchases prices of the film tickets during the initial marketing blitz and rollout. 3D glasses have become a become a permanent fixture in the cinema going experience. Unquestionably, if 3D effects are used skillfully, they can add a significant amount of visual depth and excitement to a film. On the other hand, a great number of 3D movies being rolled out to cinemas are simply using the element of 3D to draw more people in at higher ticket prices. If you are not sure whether a film warrants the extra expense of 3D Glasses, check with friends and colleagues who have already seen the film to get their opinion of the entertainment value of seeing the film in 3D. In addition, check the online forums and discussion boards to see if people feel the 3D glasses make a big enough difference to justify the additional cost. Most film critics today will discuss whether or not a film is paying extra money in order to view it in 3D. Certainly there will be some movies that a family will want to see on the cinema screen. They may prefer going to the cinema for a visually spectacular action film or the latest Sci-Fi flick. However, films that do not rely on big budget visual effects are often just as enjoyable to watch on DVD. Even certain animated movies are perfectly fine to relegate to DVD viewing. In fact, watching a film on DVD can often be a much more enjoyable experience than watching it at the cinema. Parents do not have to miss sections of the movie while taking their children to the loo. The ability to pause the DVD player can come in quite handy in such situations. If your family enjoys chatting during a film, there’s no need to worry about bothering the people around you. For the real bargain hunters, there are plenty of good movies to see on many of the legitimate free film sites. Hulu and Crackle are the best known providers of free films. Recently, YouTube also has made its foray into streaming both paid and free films. The biggest downside to these free options is that often all of them will show the same free movies at the same time. However, they can still be a good option to add into the mix of family film viewing experiences. If you’re familiar with The Orphan Annie, you’d probably be humming the tune from that musical right after reading the title of this blog post. My two preschoolers have seen Annie several times this summer and are familiar with the songs there. So when we told them that we’d be taking them to the cinemas, they expected it to be something like what Daddy Warbucks, Grace, and Annie went to. And they were singing the song Let’s Go To The Movies on our way to the mall. The kids were definitely excited to go to the cinema for the very first time but I was anxious about how they would behave inside the movie house. I certainly wished we were going to watch in a state-of-the-art theater such as the Vue cinemas. So, how did we all fare on the kids first trip to watch on the “big scream” (as Jakei adamantly calls it)? What have we learned from our first family trip to the cinema? Bring plenty of food! Popcorn and drinks would probably have kept the kids’ fussiness at bay. We didn’t bring any snacks because we just had lunch and had full tummies. I’m not going to ask anymore how two little ones could go hungry sitting and watching a movie for two hours, I’ll just make sure I have a full snack bag next time. Choose an animated movie. Or maybe a musical. 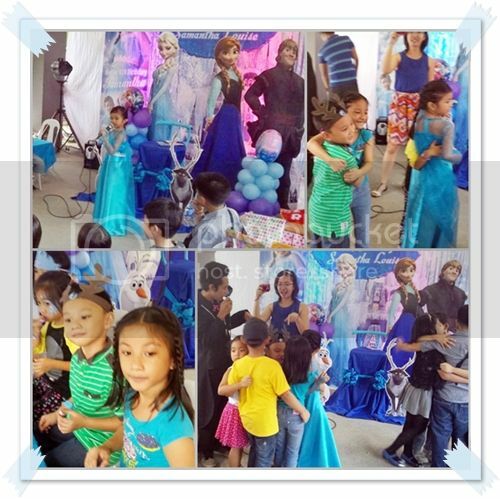 My kids love musicals and cartoons which would hold their attention more than action and adventure films.